Find the right pet bird for you – Pet Birds by Lafeber Co. 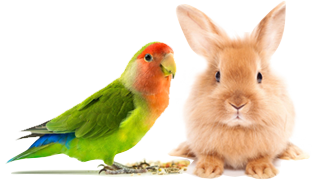 If you’re looking for a pet bird, but not sure what species, here you can search by what may be important to you: color, size, interaction etc. and find some good choices. Searching by one or two choices will give you better results than searching by everything. Just click the check boxes of what you’d like to find and see your results at the bottom. Have fun! Below are the bird species that match the criteria you selected. Click the bird image for details about a species.